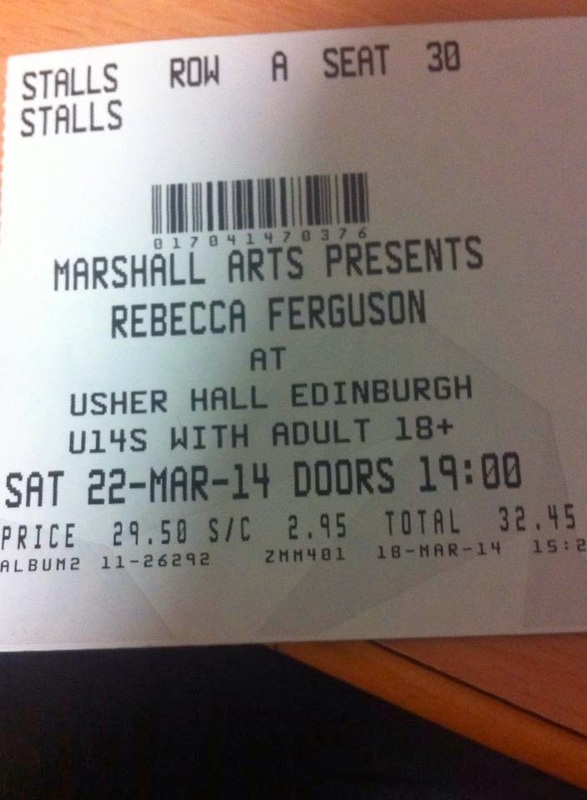 Today I thought I'd post something a little bit different- a review of Rebecca Ferguson's Freedom Tour, which I went to on Saturday the 22nd of March. I thought that I loved her before, but after seeing her live has just made my love for her grow. 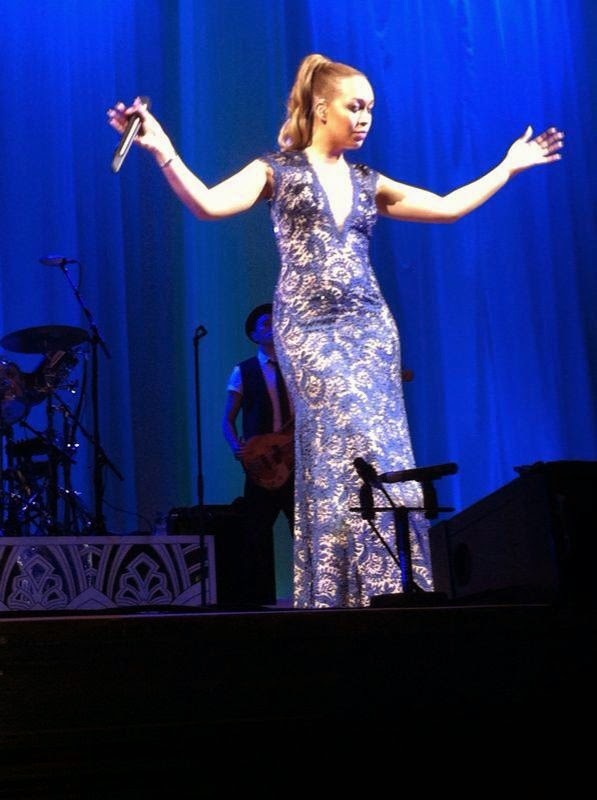 She was wearing a sparkly blue dress, which showed off her curves that could rival JLo's, and looked absolutely stunning. The set list included all of my favourite songs from both of her albums, Heaven and Freedom, including Backtrack, Mr Bright Eyes, My Best and All That I've got. 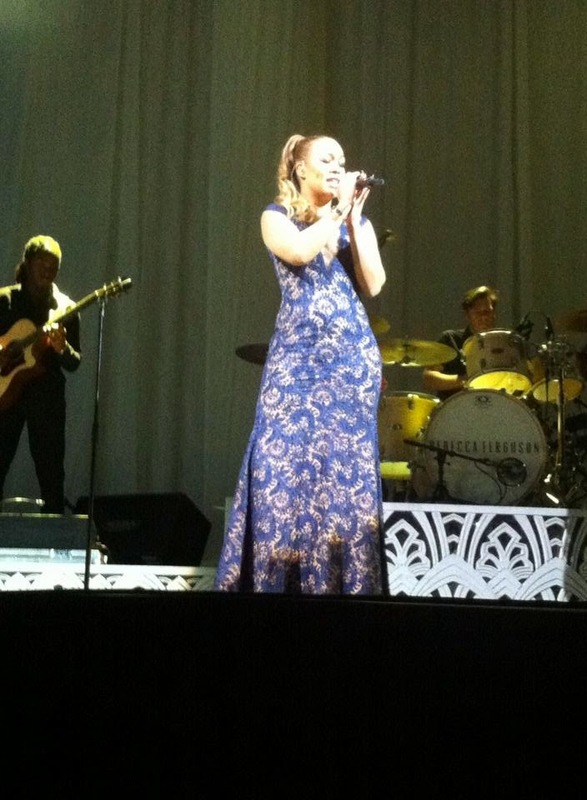 Before the concert, I didn't know what to expect; Rebecca Ferguson appeals to more of a mature audience, and I wasn't sure how rowdy the crowd would be. We had amazing seats- Row A, which I never imagined being at! 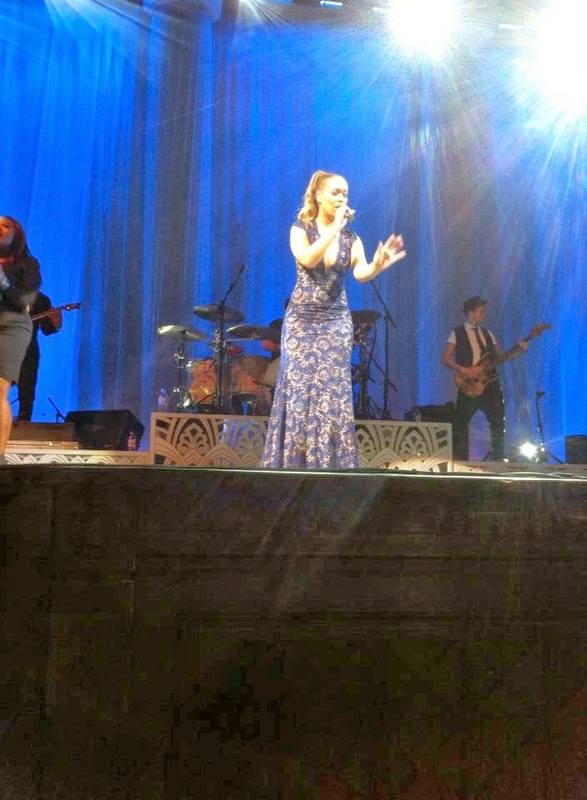 But I couldn't have wished for a better concert to have those seats for, seeing her so close was absolutely crazy, and we managed to hold her hand at one point too! She has such a great stage presence, seeing her dance around and strike poses while singing created such a fun atmosphere.She even kicked off her high heels near the start so that she could do some of the choreographed dances with her backing singer. And the whole crowd was behind her too, we were cheering everyone was up and dancing as soon as she started to sing Roar, and there was a happy and excited feeling around the room. Her voice was insane, I actually think that she sounded better live than she does on CD (even though she is amazing recorded) which is quite rare for a singer. Despite having a bit of a cough, and needing a cup of tea during the breaks in the songs, she was able to reach every note perfectly. As I said, we were up dancing along to the upbeat songs, but when it came to the slow songs everyone sat down and listened to her pour out her feelings. Her voice sounded so heartfelt, and during Teach Me How To Be Loved you could tell that the emotion in her voice was not an act, which brought tears to my own eyes. It was a weird feeling, being in a room so large that was silent while we watched her stand centre stage and sing to us. 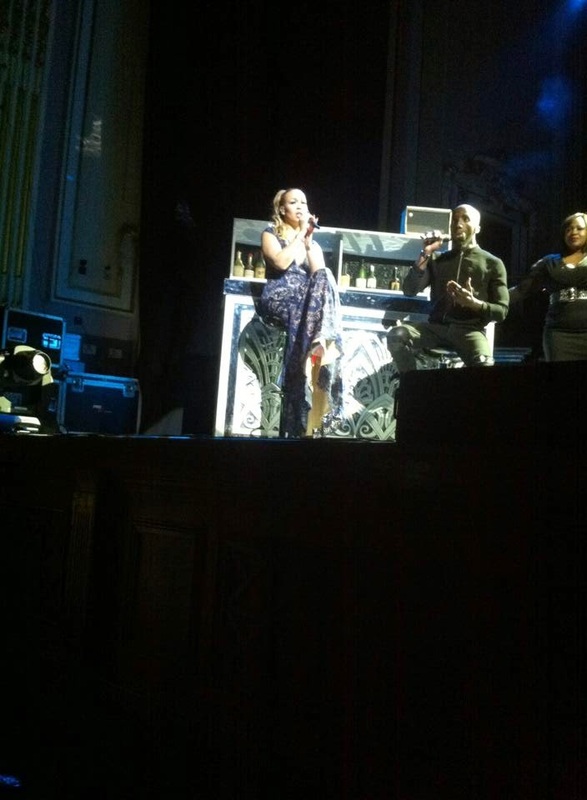 She made the room feel small and intimate, it was the perfect venue to showcase her voice. She has jumped straight to the top of my favourite female artist list, and I know that I will be going to her next tour. Here are some photos that I took from that night. Also thought I'd include a link to my favourite song, Fake Smile, which is something I take a lot from each time I listen to it, and I find it's a song that helps me to smile even when I'm feeling down. I find it really inspirational how Rebecca wrote all of her songs, and based them on her life, although it shows a vulnerable side to her, it also shows how strong she is, and how much she's overcome. I think that's why I love her so much, she has such lovely personality, despite what she's had to deal with, and she sends out such a positive message to those who listen to her music.